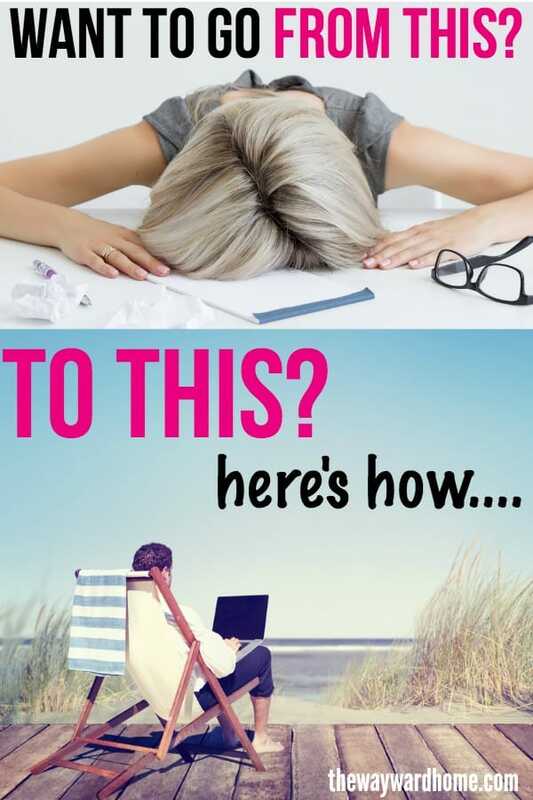 Want to leave that desk job? How to get a remote work job right now. Yes, you can leave that desk job! Here’s how. Sometimes, working a 9-5 desk job can feel like you’re attached to a ball and chain. Sure, you have a steady paycheck and benefits and vacation time, but something inside you just doesn’t feel fulfilled. You want to own your time. You want to go explore nature. You want more time with your family. You want freedom and adventure now, not when you retire. You know remote work could solve all those problems, but have no idea how to get started. Maybe on your lunch break, you scan remote work websites. Maybe your Instagram is full of people living the van life, or families who live full-time in their RVs, or people traveling the world by sailboat. Maybe you always click on those news stories about people living with less, living differently, living on their own terms. If you don’t figure out how to work remotely now, you could be stuck in that desk job for many years to come. It’s hard cutting the cord and becoming a digital nomad. It’s scary! I get it. But taking the leap and the risk is far better than wasting your golden years (your youth!) sitting behind a desk. It pains me when I see young people working away inside, not using their bodies to explore and hike and do and be while they still can. Trust me. I’ve been there! I used to have a day job. And I thought it was my dream job. For fifteen years, I worked full-time as a radio news reporter. I worked in Portland, Seattle, Sacramento and San Francisco, filing three stories per day, meeting interesting people, covering awesome events. I was there when President Barack Obama’s airplane landed at San Francisco International Airport. I’ve flown over the city of Seattle in a B-17 bomber from World War Two. I’ve interviewed Sarah Ferguson “Fergie”, Salma Hayack, Orlando Bloom and Jerry Seinfeld. I’ve shaken President Jimmy Carter’s hand. I watched Peter Yarrow sing “Puff, The Magic Dragon” live in-studio. My life seemed really awesome! Being a news reporter was all I ever wanted to be, but the seeds of wanderlust were there. I started dreaming about how and when I’d leave my job. My boyfriend had just bought a sailboat and I wanted to travel the world! I started to save money, thinking in a couple years, I’d quit. But my job beat me to it and I was laid off before I was ready. Let me tell you this. At first, it as super difficult for me to transition to remote work. I had no idea what to do or what to be. 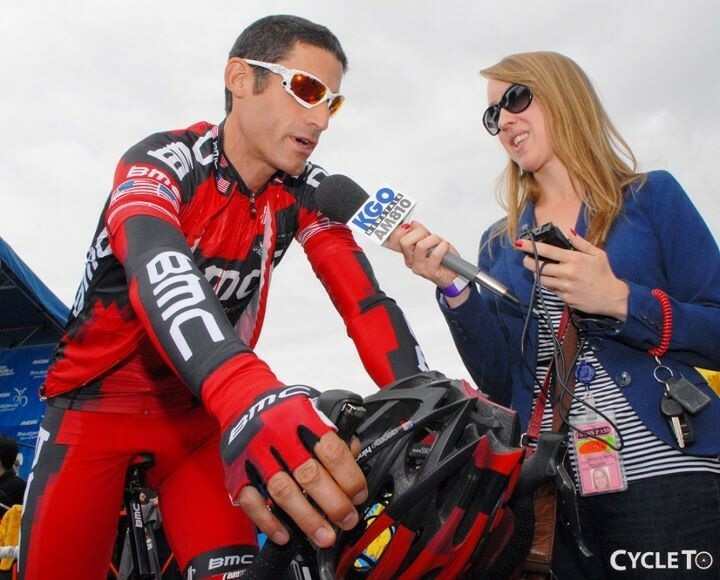 Without my title as “radio news reporter”, I felt lost. Sure, there were unemployment checks and a little bit of voiceover work, but it still wasn’t enough to sustain a life of full-time travel. It took me two years to finally get in the groove as a freelancer. One day, I read a story about this blogger who was making $100,000 per month! Per month! I had no idea blogging could make money. But I decided that’s what I was going to do. I’d become a blogger and a freelance writer. For months, I studied blogging and freelance writing. I started submitting stories to the local newspaper, SF Gate. I started this blog, The Wayward Home. And now, I feel so incredibly happy! Now, I’m convinced these two passions will be enough to support a life of travel on my sailboat and in my Chevy Astro van. There are so many remote working jobs out there! I’m not the only one who’s successfully made the transition to remote work. There’s Camille Attell who’s a full-time RVer running the website More Than a Wheelin’. She left a corporate training job to RV full time, and has found tons of ways to make money on the road. You can read her post: 6 ways I’ve made money while full-time RVing. There’s Madison Hampton, a young woman who makes jewelry out of her truck camper as remote income. There’s Joni Zander, a van lifer who sells essential oils and designs van builds for a living. Right now is as good a time as any to become a freelancer. It’s anticipated that over the next few years, 50% of all employees in the United States will be working remotely. Right now, there are at least 3.7 million people who work from home at least half of the time! This means more and more companies are jumping on the bandwagon and hiring remote workers. If your dream is of living a life of freedom and adventure, now is the time to start. 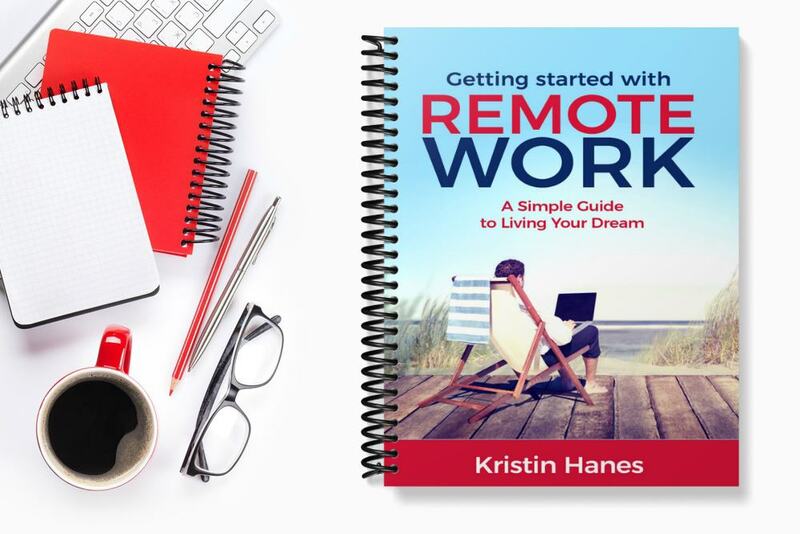 Using my skills as a journalist and writer, I’ve put together an ebook called: Getting Started with Remote Work: A Simple Guide to Living Your Dream. The book is cheap, just $10, because I know a lot of times people don’t have tons of extra money to spend on courses and classes. But $10? Most people can part with that. When I was first laid off from my job, I felt so lost and alone, and this is the book I wish I had at the time. I really want to help you leave your desk job and start living life on your own terms. 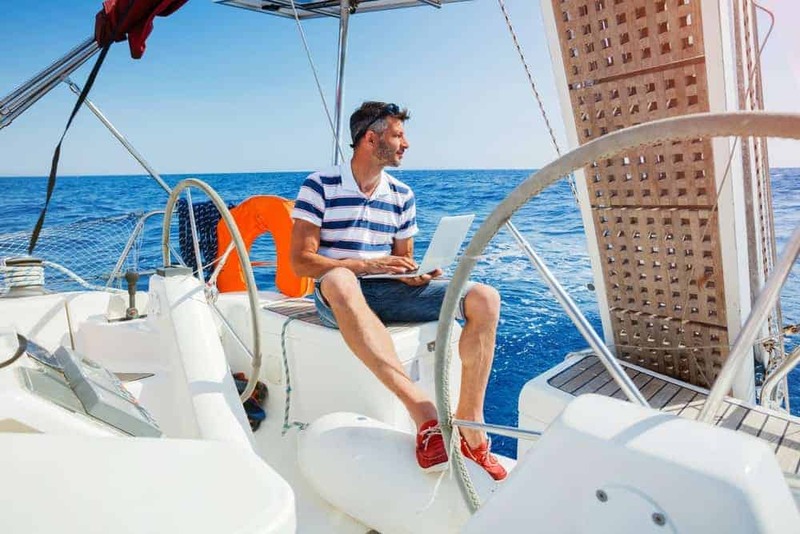 That can mean seeing national parks by van or RV, buying a sailboat and learning how to sail, or just becoming a full-on digital nomad, traveling the world by suitcase. The good news about remote work is this: You are in charge of your own time! Finally! If you’re ready to learn how to leave that desk job right now, head on over to purchase my book for just $10. That’s as much as a couple of cappuccinos, or two beers in a bar. I hope I can help you succeed!